This Coconut Body Scrub Recipe will give you the spa experience and leave your skin silky soft for pennies a treatment! Check out my Sugar Scrubs page if you are new to DIY beauty products and get started today! Why Use a Coconut Body Scrub Recipe? Coconut Oil is probably the best moisturizer I have found for any type of skin. It is made up of medium chain fatty acids that act as an antimicrobial agent to help kill viruses and bacteria. It helps absorb the accumulated impurities from your skin, as well as, nourishes it. Coconut oil will be solid at temps under about 76F. So, if you keep your home cool, your coconut body scrub may harden. That is not a problem as it will soften in the warmth of the shower or bath. This is the coconut oil that I use. As stated above, coconut oil is nourishing and moisturizing to the skin and good for any skin type. When essential oils or other oils are added, you also gain the benefits of those. This holds true for any coconut oil body scrub recipe. Using a coconut body scrub is both relaxing, good for your skin, and helps maintain the natural chemical balance of the skin while softening and helping to alleviate dryness. Using this Coconut Body Scrub Recipe gives you confidence in your ingredients. You know what has gone into the scrub and there are NO harmful chemicals, dangerous exfoliating agents and nothing unnecessary. How Can I Soften My Coconut Body Scrub? Leave the coconut body scrub in the shower and allow the steam to soften it. Allow warm water to run over the container of coconut body scrub, however, make sure the lid is on tight first. Who Can Use This Coconut Body Scrub Recipe? This recipe is for anyone to use. It is safe for all ages. There are no dangerous chemical or unnecessary additives to worry about. When Should I Use Coconut Body Scrub? My Coconut Body Scrub Recipe can be used anytime you desire a spa treatment to get rid of dead skin and reveal younger, silky soft skin. The ideal time to use a body scrub is after cleansing your skin and before getting out of the shower or bath. Since a body scrub is used during a shower or bath, the skin is clean and supple from the warm water. The warm water opens your pores and allows the exfoliation of the sugar to work its magic. A Word of Caution: Be careful when applying body scrubs to the feet while in the shower since it can cause them to become slippery! This depends on whom you ask – I say anytime you desire. If you do a quick online search, you will find suggestions from daily to once or twice a week. Using a clean finger, spatula or spoon, scoop out a small amount of Coconut Body Scrub Recipe. Gently massage into your skin using a circular motion for 60 seconds. Repeat until finished with your body. Take care when using a body scrub on your feet while in the shower – they can become slippery! Should I Melt My Coconut Oil Before Making This Recipe? That is not necessary. 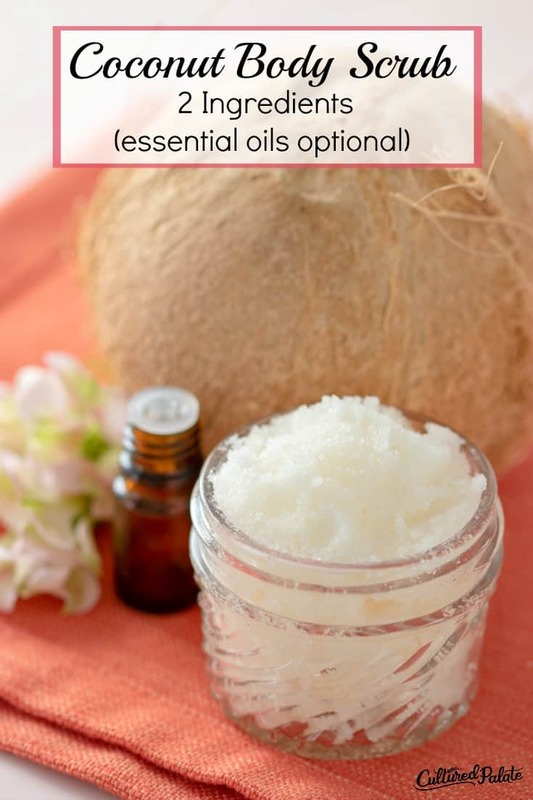 You can just mix the coconut oil and sugar with essential oils even if the coconut oil is hard. If you desire it to be liquid, heat just until it is liquid – if it is hot, it will melt the sugar. I prefer storing my body scrubs in a glass jar and there are some really cute ones available. One of my favorite places to find them are Hobby Lobby. Often they are sale for 50% off and if not, I use a coupon. Others can be found online and here are a couple of my favorites especially if I am making batches for gifts. Body Scrubs Makes Great Gifts! Not only are Body Scrubs easy to make but they also make wonderful gifts. Once your body scrub is made, place in a cute jar and add a ribbon and gift tag – you can’t get much easier! Can I Add Epsom Salt to This DIY Sugar Scrub? Yes, Epsom salt can be substituted for the sugar in any coconut oil body scrub recipe. Epsom salt is coarser so you will have more exfoliation than with sugar. This makes it especially good for a foot scrub. Epsom salt is magnesium sulfate which many find to be relaxing and helps with detoxification. Add essential oil fragrance if desired. 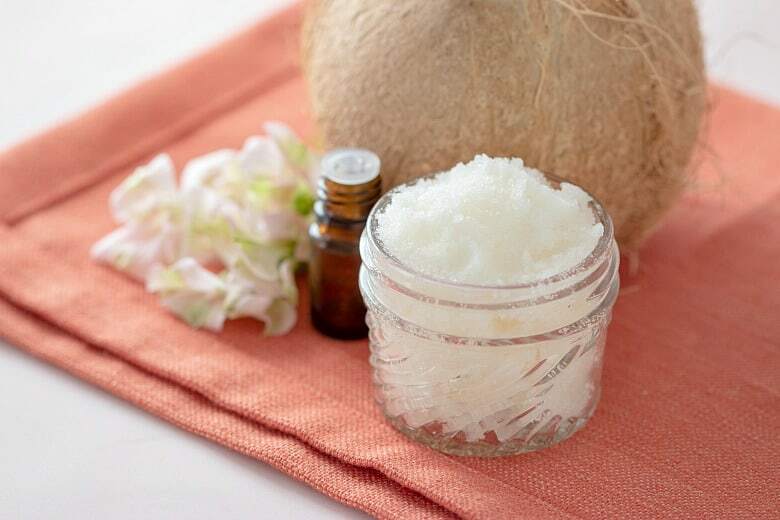 Massage a small amount of Coconut Body Scrub Recipe into skin in the shower or tub. Using a circular motion, rub skin for desired amount of time – normally about 60 seconds. Note: This Coconut Body Scrub recipe will keep for a long time – at least one year. What is Your Favorite Essential Oil to Use in a Body Scrub? Not Into DIY or Making Your Own Body Scrub? Don’t worry if you are not really into making your own DIY products because there is still a safe skincare and cosmetic option for you. 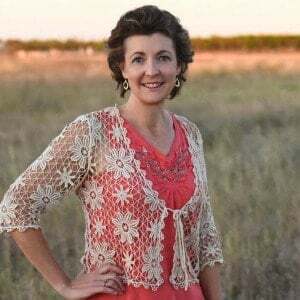 It is important to remember that just because products say “organic” does not mean they are safe. Many have unnecessary ingredients, chemicals that are harmful and even hide behind the word “fragrance” so they can add unhealthy ingredients. Since your skin is the largest organ of your body, and what is put on your skin can get into your blood stream quicker than the food you eat, “safe” is a keyword in skincare and cosmetics! It is very important to use only safe, non-toxic, chemical free products on your skin. 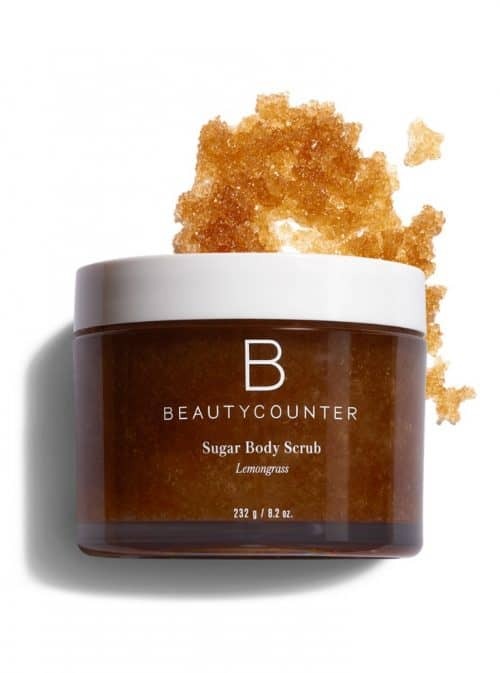 This Sugar Body Scrub in Lemongrass from Beautycounter is wonderful AND it contains only food-for-you ingredients. It is gently enough for your face too! The Body Oil in Citrus Rosemary Beautycounter is another effective product that leaves your skin soft and moisturized. It is a blend of 13 botanical oils that absorb instantly and leaves your skin feeling silky soft. The scent is wonderfully invigorating yet subtle and has hints of grapefruit, sweet orange, and rosemary. 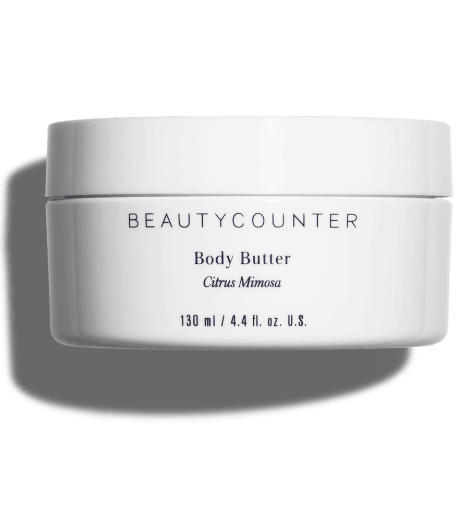 The Body Butter in Citrus Momosa from Beautycounter is another must-have for those with dry skin. It contains shea butter and mongongo oil to hydrate and nourish, plus organic sunflower oil, aloe, and chamomile to soothe and smooth. This Body Butter is thick, rich and melts into skin being absorbed without leaving you feeling greasy. New Duck Pond - How to Make Your Own! I love homemade body scrubs and this sounds amazing! Love all the clean and natural ingredients. Thanks, Jean, so glad you enjoyed it!